Wedges. 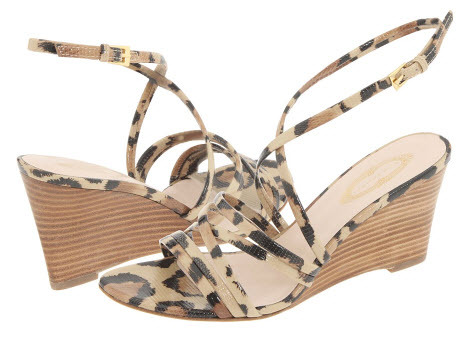 There's never been a more classic spring shoe than the wedge. Although they can make walking gracefully a bit difficult without practice, when worn correctly, they're a piece of art. I love all of the following equally and would gladly welcome any of them into my closet. Here at A Blonde Ambition, we don't discriminate when it comes to shoes. 1. Make sure they fit correctly. You want them snug. More snug, actually, than your regular heels. 3. Start small, then work your way up. Start with a 2 inch "kitten" wedge. Once you're comfortable with that, take off the training wheels and go for the classic 3-4 incher. You'll be walking sky high in no time. 4. Try them with flare leg jeans for a retro, fun look this summer. Just make sure to pair the look with a simple and fitted top, to look "retro chic" instead of...well...just old. I'd tell y'all how I feel about them, but I think this post speaks for itself. Big, colorful, insanely high shoes...I'm 5'4", ya'll! These are a God-send! What say you about the wedge? Classic or cumbersome? LOVE the wedges. 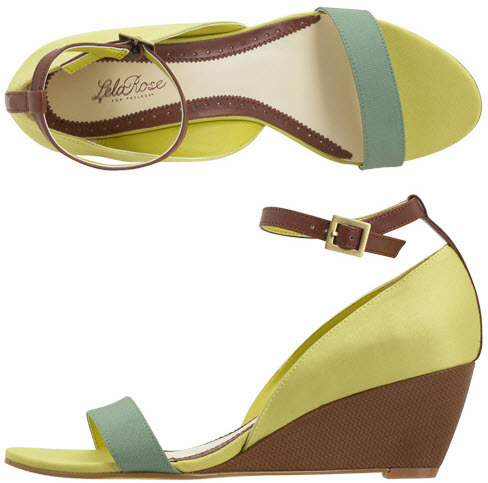 I just acquired a pair of sky-high faux suede colorblocked wedges in teal, berry and tan and I can't wait to pair them with my summer dresses! I love wedges, but am not a fan of the super chunky pieces. Too much weight to lift up with each foot! As a 5'3" gal I LOVE anything that can give me a boost :)! I'm a towering 5'4" as well so wedges and I are the best of friends!! Great picks and tips! I can actually walk in them. I'm not a heels girl, so this is a great way for my 5'3" frame to feel taller! i love all these wedges, especially the cole haans. Goodness gracious I love wedges! Nothing makes me feel more Springy! I love wedges! Im 5'1 so I need all the help I can get! haha I find wedges to usually be more comfortable compared to regular heels. I find wedges very comfortable and easy to walk in. I guess because your weight is distributed over the whole sole as opposed to just a pencil heel and the ball of your foot in a pump. I think they are perfect shoe for spring! I'm a big fan of wedges. You get the height that makes your legs look long and slim but with the feel of a flat shoes. Thank goodness these have not gone out of style. I'm DYING over those first wedges you posted! Wedges=summer must-have! Wedges are so cute - I love all these! 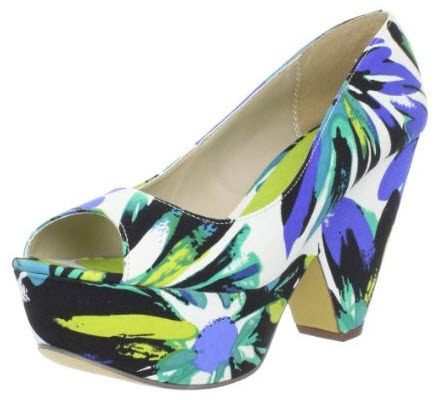 Those Payless wedges are soon to be mine!! Thanks for the tip! love love love wedges! My closet is full of them and there are so many fun styles out this year! I'm 5'2" and live in wedges over the summer. Love the cheetah! fun! i love all types of wedges as long as they are comfy and i can walk in them! TjMaxx has some super cute wedges right now. And for a great price! Highlights and Noisy Neighbors...Our Weekend. New Fav Accessory + Pics! Warm Weather Eating: How We Eat "Skinny"